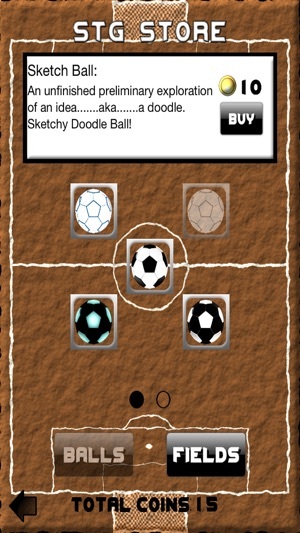 Strike The Goal is a fun soccer/football/futbol themed physics puzzle game. The object of the game is to strike the ball into the goal. Move your teammates in the white jerseys around to help set up the perfect shot or you may have to simply move some of them out of the way. Aim the arrow in the direction you want to kick the ball to score a goal while avoiding obstructing opponents & yellow cards. However, sometimes you might be able to use an opponent to your advantage. The match is lost when you strike a wrong goal, get two yellow cards, or strike the ball more than 9 times(tournament mode only). -Plan out each strike by moving teammates around or just strike it. -Exhibition mode: Compete against 40 top international teams. -Challenge yourself by trying to score in one strike. 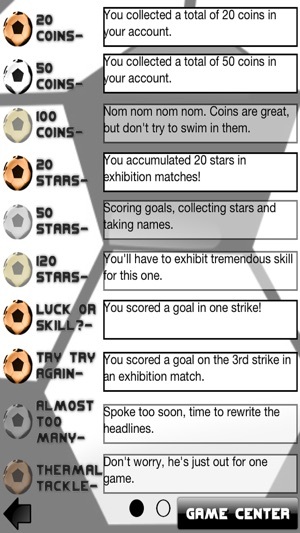 -Score a goal in 1 strike to obtain 3 stars. 2 strikes for 2 stars. 3 or more strikes for 1 star. -Tournament mode: Win 3 randomized matches in a row to obtain the STG championship & extra coins. -20 Achievements/Trophies for a total of 1,000 Game Center achievement points. 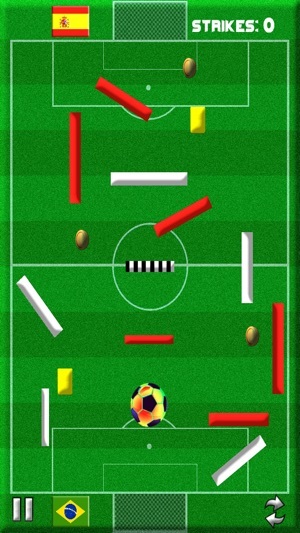 -Opponents stand still, move around, and sometimes attack the ball. -Extend the aiming arrow further for a harder kick or shorter for a softer kick. -Real crowd noise, chants, vuvuzelas, and other great sound FX. -Use coins earned in game to buy different balls & fields. -Learn about different countries before each match. Over 700 random facts in the game.